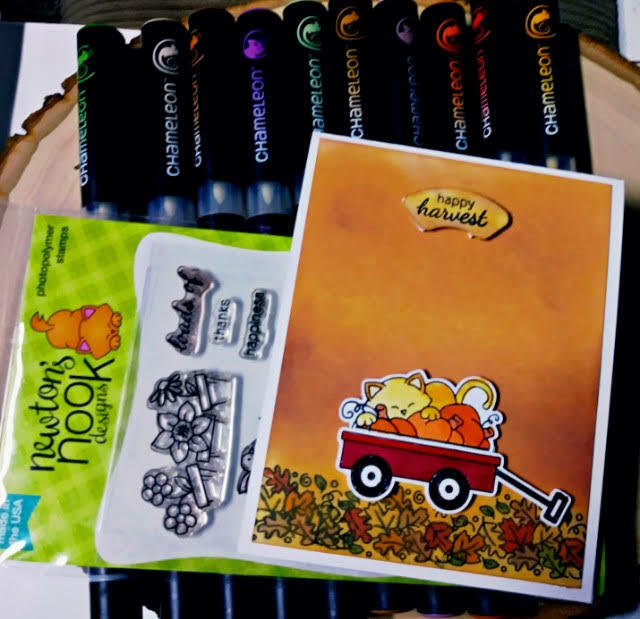 Wagon of Wishes, Newtons Nook and Scrapping For Less. Greetings friends and fellow crafters. 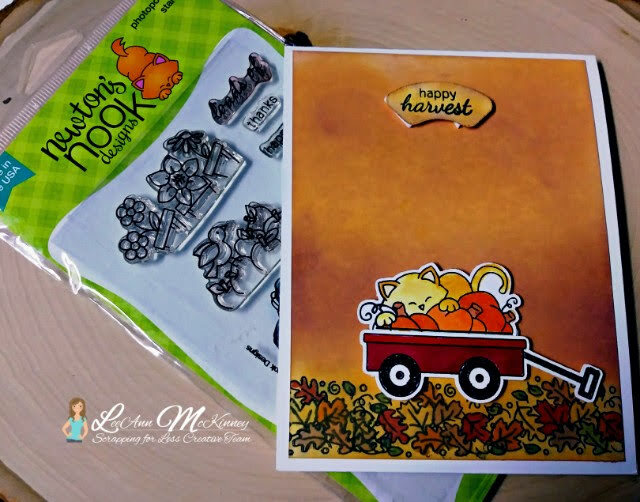 LeeAnn here with my focus post for Scrapping For Less using Newton's Nook "Wagon of Wishes". This little kitty is so cute and loves having fun. I stamped out the images using my Tim Holtz Stamp Platform with Memento Tuxedo Black ink and cut them with my Brother Scan n Cut. I stamped the leaves along the bottom of a 4" x 5.25" panel of White 110 lb card stock. 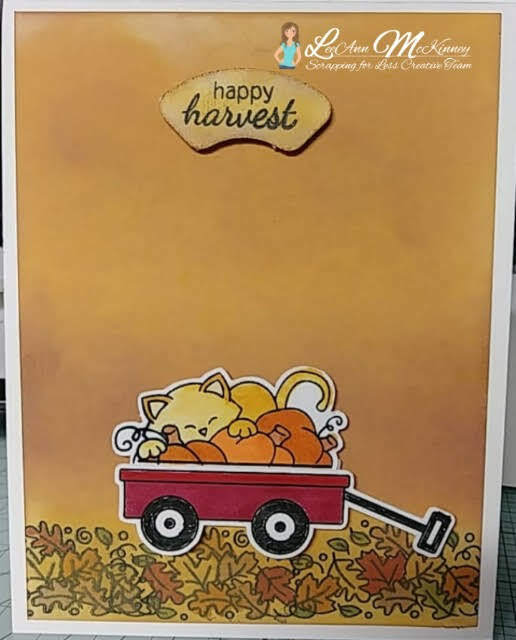 Using Chameleon markers I colored my leaves along the bottom of the panel as well as Newton, the pumpkins and the wagon. The background panel was blended using Aged Mahogany, Fossilized Amber and Spiced Marmalade Distress Oxides. 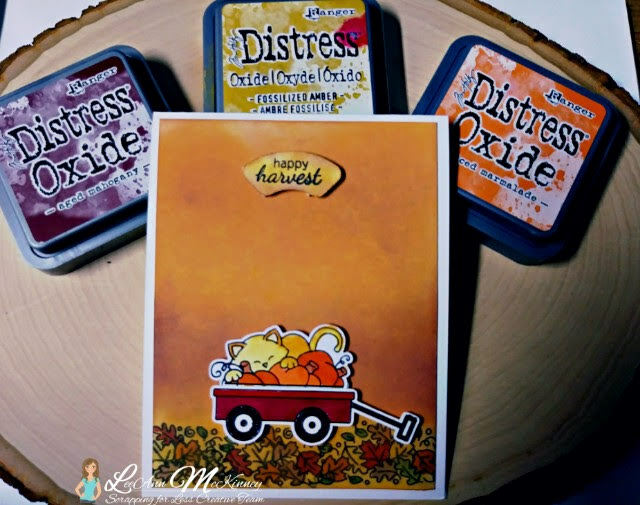 I then found a little panel in my stash that the "Happy Harvest" sentiment fit perfectly, stamped it with the Memento Tuxedo Black ink and then added some Fossilized Amber and Spiced Marmalade. Added foam squares to the sentiment, wagon and newton to add some dimension to the panel. Added the panel to a 4.25" x 5.5" top folding card base.